I needed cookies for a cook-out. What better ones than Malgierie’s Sandwich cookies? Easy to carry. Easy to make. Fun to eat!! There are four sandwich cookies in Malgieri’s the Modern Baker but I only had time for two of them before the end of the Cookie Phase of The Modern Baker Challenge. And, of course, there were a few setbacks along the way. These are supposed to be Blackberry Jam Cookies. But either my Jam has not been out in the sun or it isn’t jam! Did you know you cannot thicken SUGAR FREE Jam? Do you want an answer to that? I did not know I had picked up the sugar free (meh!!) until I poured it into the saucepan to thicken. I ended up with Blackberry SOUP!! The only sub I had was some home-made lemon curd I had made with GAARP a few days back. So what we have here is a triple lemon sandwich cookie. 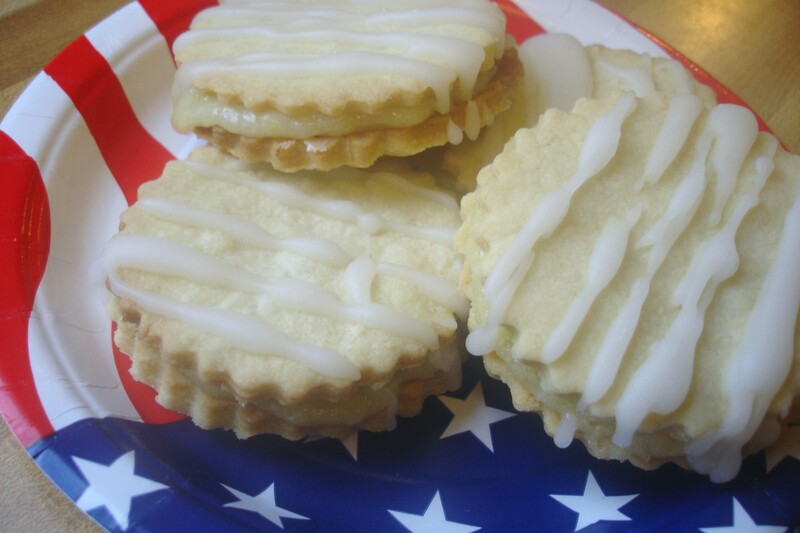 Lemony cookie. Lemon Curd. Lemony Drizzle. Good combo. No trouble with the filling here. I ALWAYS have chocolate of some kind in the house!!! But I did use a German Chocolate rather than Milk Chocolate as Nick calls for. Chocolate cookie. Chocolate Filling. Powdered sugar dusting. 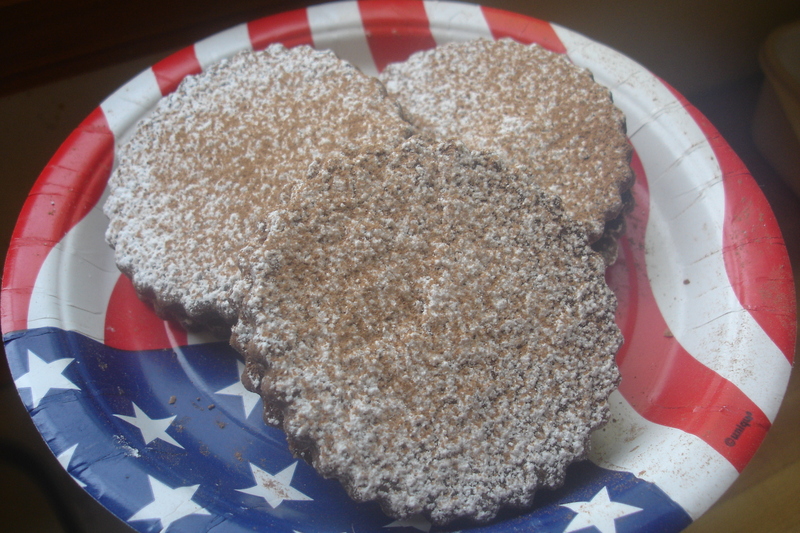 And, just for good measure, some with added Cocoa dusting!! Too much? I. Don’t. Think. So!! NEVER too much chocolate!! (Sorry, Kayte! 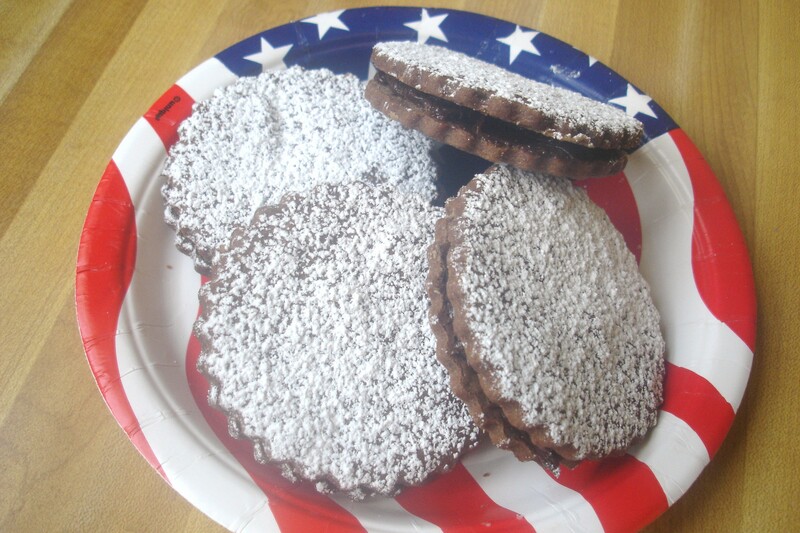 )The only sandwich cookies left were the Raspberry Linzer Disks and the Viennese Punch Cookies. Maybe another day. I made 1/2 of each recipe which gave me eight sandwiches of each type. The only trouble I had was that the dough was crumbly dry. I had to wait for it to reach room temp before I could really work with it. Gaarp had the same problem, as did others. But they baked up just fine. The chocolate cookies are on page308 of Nick’s book. The lemon on page 306. June is right around the corner which means CAKE for the next and last phase of The Modern Baker Challenge. It’s not too late to join in the fun. Visit the website and sign up for a cake. Or TWO!! I fully intended to post this on the day it was due, but just as I was putting it all together my daughter called. She and hubs were sick and could I come take care of the Baby. Let’s see – post DB or take care of baby – not a hard choice!! Sorry, DB, but you lost the coin toss. And then I got sick, so here it is Wednesday and I am finally finding time to put it all together. The Caramel Sauce – this I did not make. Just ran out of time. Plus not a big fan of caramel and citrus. 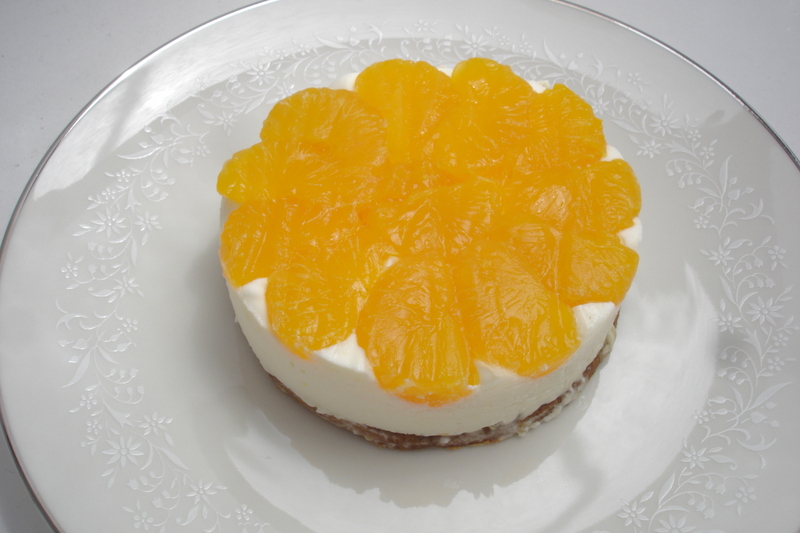 Citrus Segments – I used mandarin oranges which was basically cheating tweaking the recipe. . The Marmalade – I used lemon marmalade from my go to recipe . I liked the mix of lemons and oranges. I liked the mix of citrus flavors. 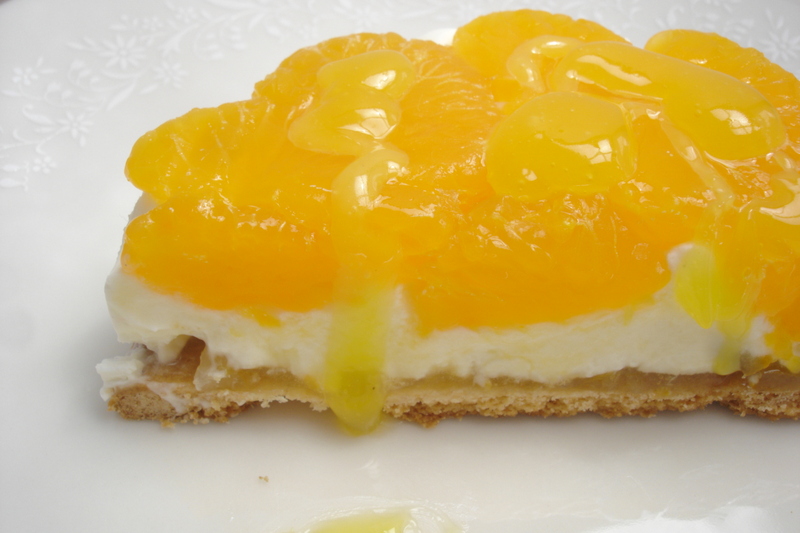 The tartness of the lemon marmalade offset the sweetness of the mandarin oranges just right. I am sorry now that I only made 3 4″ minis (1/2 of the pate sablee recipe gave me 5 crust bases). Guess I will just have to make this one again – often. My first Daring Bakers Challenge and it was great fun. I never knew I could make Danish until now. Thanks to Kelly of Sass & Veracity, and Ben of What’s Cookin’? for their hosting of this month’s challenge. It was fun, guys! Anyway, the challenge was to make Danish Dough, and subsequently, Danish. The recipe/technique came from “Danish Braid” from Sherry Yard’s The Secrets of Baking. The recipe was really easy to follow. I read it 3/4 times and then decided it really wasn’t that hard. And it wasn’t. By the time I rolled the dough out for the 4th time I had enough for two danish so I made two different kinds. The first was Lemon Blueberry. 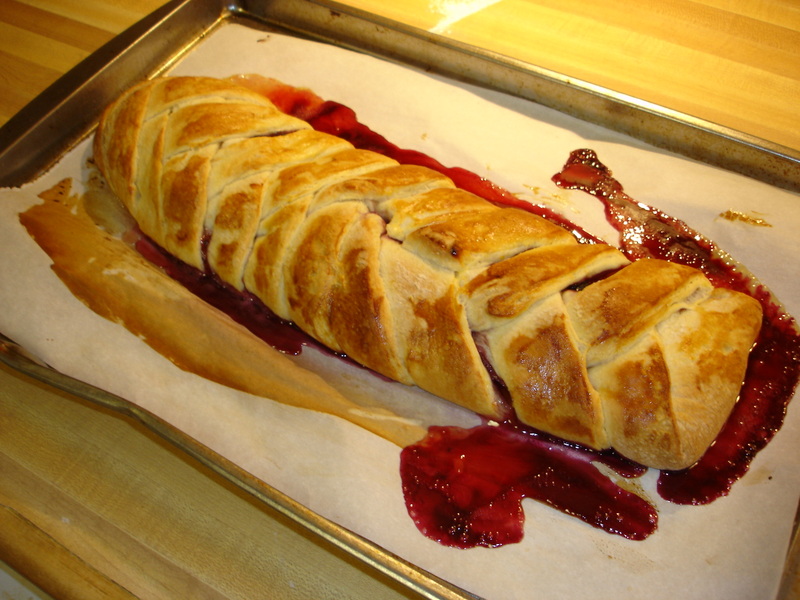 The filling was made with frozen blueberries ( Didn’t have fresh at the time), and home-made Lemon Curd. Recipe follows. With the butter block or ‘beurrage’. 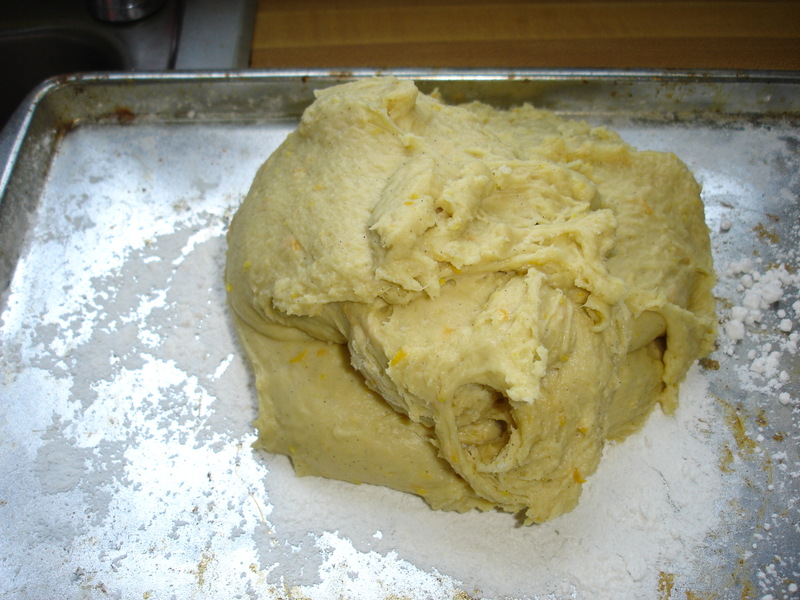 The dough with cuts. And the dough with filling. All braided and ready for the oven. And once it was finished, it looked pretty good for a first time. Those blueberries were REALLY juicy!!!. I did learn a few things from the first one. I didn’t leave enough room in the center for the filling because I made my cuts too long. And next time, a little sweetening in the egg glaze, or maybe just a sugar glaze when it comes out of the oven. The Fam liked it. My second one was peaches and blueberries. I changed the cuts and was going to twist the dough as they came across the top of the danish. It looked pretty good until I tried to move it to the baking sheet. 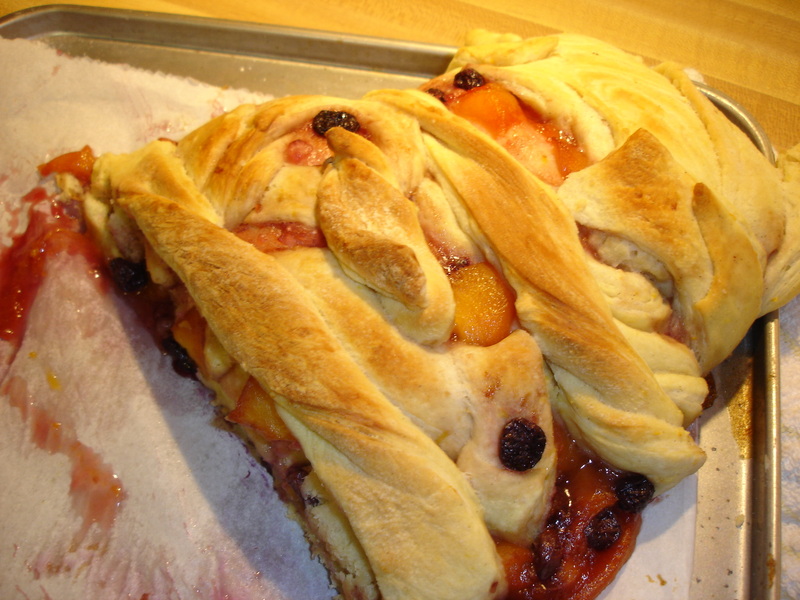 Unfortunately, I had not allowed time for the peaches I had poached in sugar with the berries to cool so when I lifted the danish to the sheet it fell apart on me. It was not a pretty sight. So I just added some twists of dough to the top to ‘fix’ it. Next time to the sheet and then add the warm filling. It was just as good to eat, just not pretty to look at! The most important thing, I had fun with it. Thanks Daring Bakers for introducing us to a great new way to spend a day in the kitchen. I learned how to make Danish. Now, if I could just make all that low-fat, sugar free…. but then, what would be the point. 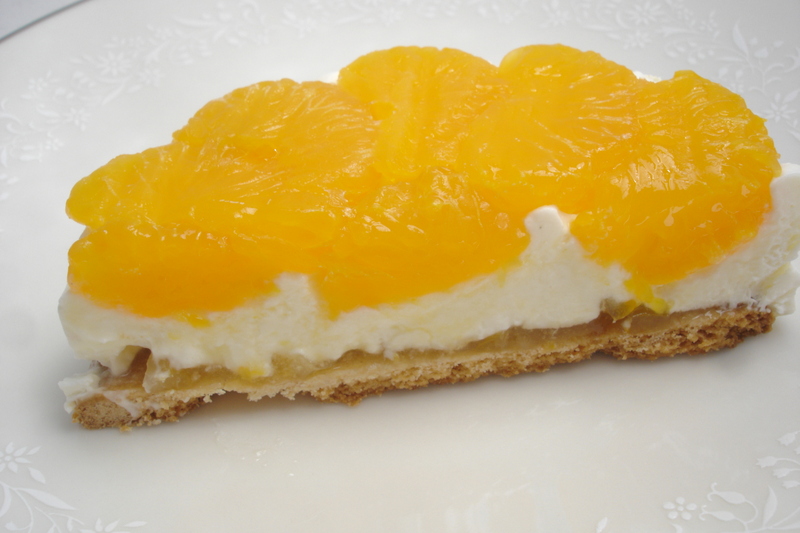 In a heavy bottomed non-aluminum pan, combine egg yolks, sugar,and lemon juice. Cook over very low heat. Stir constantly with a wooden spoon. After 20/25 minutes when the mixture has come together and thickened to a pudding like consistency, remove from heat. Immediately whisk in butter and lemon zest, stirring until mixture has emulsified and it is smooth. Cool over an ice bath. This can be stored in the fridge up to 3 days. This is also good on scones. On Flickr – how it was done – backwards!! !